Michelle Bisson wrote: There is another tiny house community project in the development stage in Lantier, Québec, Canada. If you have not done so, maybe connecting with those in this project can give you some guidence with your project. They also just had a tiny house festival this past weekend. what are your thoughts on the bull's horns? I fully appreciate the perceiving nature of the cow's horns, and their vital role in the life and health of a cow. For my own selfish concerns over farm safety, I have been using dehorning paste on my bulls. For male animals that I plan to harvest young as beefs, I let their horns be. But for my bull, who I plan to have for 4-5 years, I have been preventing the growth of their horns. Not something I feel great about, truly. I never hear much discussion of the meaning and value of the bull's horns. My understanding is that they are solid, unlike the blood-filled cow horns. Is this right? I have been told that whereas cow horns are remarkable organs of perception and communication, bull horns are basically large fingernails used as weapons. This seems a bit callous, but I dont know anything myself. I would really appreciate your thoughts on this subject. I've only seen the thicker points with cow horns, and don't know what bull horns might be vibrationally used for. I can surmise that one wouldn't want to emphasize the character of the bull too much , over the nurture/nature of the cow, but that's speculation and experiment, if there were time. I'll ask my colleagues if they ever heard anecdotes of that. I've always got my horns cleaned already, but understand that there's an inner horn with the bulls and bloodfilled too. The more they are treated biodynamically, respecting their nature,facilitating contentedness, the less concern there may be about potential horn damage from outer aggravation. My friend has 30 Highland cows with the large horns similar to longhorns. I've all of a sudden got a ton of work coming up, so i thought i'd just recommend one of my favorite sites to y'all. It's well presented with diagrams and touches on most of the basics in an understandable way....and it's still free access.! For those who may find it daunting to make the preparations all themselves, they are available from the Josephine Porter Institute.... google..... I get most of ours locally . Greta Fields wrote: If you answer again Manfred, I would be interested in knowing the source of the information about energy patterns. This is not the same as fractals, is it? I keep running across allusions to the importance of energy forms, like vortexes, and I don't know what it is called or what to read about. Horns are interesting subjects. I noticed how deer rip my butternut trees to shreds, but the trees grow up healthy here, and bear nuts, whereas butternuts in many areas have a disease and do not bear nuts. I wondered if the deer inoculate the bark with some anti-fungal property or something. Anyway, I quit worrying about my deer-scarred butternuts. Hi Greta, If you mean the flow of energy or cosmic in-flu-ence thru the horns, this was outlined by Steiner in various texts. (There is more about the other end and how it all works together.) And the archetypal horn shape is no mistake as a form....custom-made for that entity. What a travesty that they cut them off conventionally, denying them fullflow and genetic consequences....as evidenced by how genetically challenged cows'horns develop if left to grow out....even back, into their own skulls. You may also have heard of created "flow-forms" for the water...forming cascading gentler vortices for the purpose of larger volumes instead of hand stirring...however that usually involves an electric pump. I'm not sure about fractals according to the definition. Maybe holographic might be closer? It may go without saying that folks may assign differing meanings to some words,and subsequently attach characterizations to them which are unacceptable to others which cherish their own meaning. When this is discovered as likely, there can be a reticence to engage further , because the meanings form the premises from which they view the world. So, necessarily in the interest of enlightened dialog, a more tentative, yet substantial mode may be adopted to quantify/qualify premises which are pertinent to genuine interest in the topic or query. Some such words might be "substance", or spirit, or forces, spiritual science, life, death, incarnation, being, nature, I , Ch-Ching, etc. Or "all is vibration". What is real? harmony? love? In order to address the simplest thing completely, from a wholistic view, it would take volumes of dialog....hence all the lectures and books written on the exploration of biodynamics or any other relevant area of life on earth or elsewhere. Without sufficient basis of shared premise, it's no wonder that characterizations fill an impatient void, and sometimes create a more insurmountable impediment to under-standing to the degree of the energy invested into it. At least that's what i have experienced thus far generally...and so seek to pre-empt or avoid. Then there's dynamic context and criteria....all to be defined for comprehensive grocking. Anyway, to point to one tiny part of one entity briefly... the horn, ....a cow's horn (or a buffalo horn) with 3-plus birthrings on the lower portion of it....not a steer's horn...because the (preferably BD-raised) cow is the ultimate popular exemplar of primarily digestion, and fertility, fully grounded on the electric earth, peacefully processing volumes through several stomachs, rendering substantive form more palatable to subsequent participants in the nourishment cycles. Its horns are indeed accumulator/antennae.. channels for cosmic forces finding their complementary way through a living entity of complex content , towards the earth-surface and below. The cowhorn is much thicker/solid at its ends than a steer-horn, and this concentration of focussed silica connected to the blood and endocrine systems enables optimum fertility and (enlivened) calcium ... not to mention the obvious complement in milk, when not cooked to alteration . To further enhance the natural flow of energy, the emptied horn(s) are filled with the processed substance from the other end and laid below frost in the earth, arced upward to continue holding, intensifying, embodying the essence of fertility in the substance. Once this is imprinted during the active-earth cycle of fall-spring, its potency is available to transfer via lemniscular, alternating vortexial stirring of water, and applied directly to the soil on a calendar-appropriate late aft/eve,...preferably cloudy day. Its potency is only minutely describable as inocculant, because it is essentially the energy pattern which is conferred to the (organized) water . In all such activities, mindful intent and content of consciousness are not a small factor in the outcomes. This is not complete by any means , for paragraphs can and have been written on any single aspect of the above, and likewise with the atmospheric/complementary half of this duality of optimum growth/cosmic-nutrient parameters. In short, such measures and perspective are the reasons that it has also been referred to as quantum agri-culture. i reserve the right to correct,clarify,resolve and recant. First, thanks to Paul Wheaton for the non-biasing gesture , including bio-dynamics into the dialog. Since my own intro to BD , decades ago, there are still rumours, falsehoods and misinterpretations conferred onto its genesis and practises. David,... not sure which part you mean. However, if the latter, i'd rather address them if/when/as they arise. No point in listing the ones i've heard, in various circles, effectively further to polarize. It's our 10th year in that space about 1 1/2 acres. and membership is open to anyone interested in learning BD. Each year there are newbies , so there is always an overlapping of shared know-how. We do the best we can with our situation, using the calendar/cycles, applying the herbal preparations, BD compost,etc. There are several other gardeners/farmers out in the country who don't have the same restrictions as to how we manage our leased land. Yes, we are friends of southbrook, and they provided the wine for our annual wine and cheese evening at the guelph organic conference both last years now. 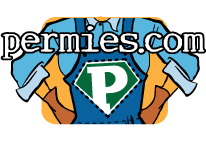 I have recently sought to learn more about perma-culture and to incorporate both in my own gardening project and especially in an intending community project in northern ontario. About a month ago, i was invited to present a BD intro to a 100-hour permaculture workshop with about 25 keen participants, in Toronto. Ironically, the same phrase came up there as in this thread....While considering anything, especially something unfamiliar ,it's wise to suspend ones' disbelief about it sufficiently to discern its premises. BD properly done complements anything to do with living entities, and enabling nutrient rich food was/is central to its mandate .